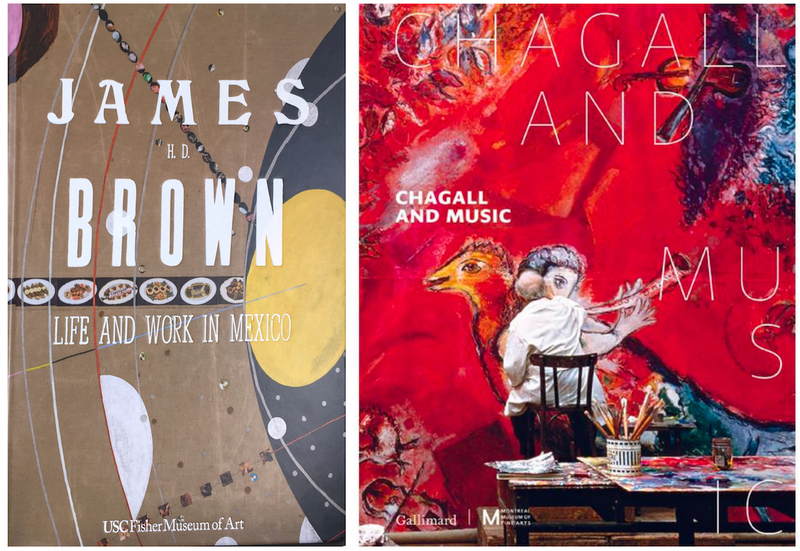 Among several dozen exhibitions spread across Los Angeles celebrating the cultural connections between Latin America and LA as part of PST: LA/LA, one exhibition, James hd Brown: Life and Work in Mexico, at USC Fisher Museum of Art, particularly piqued my curiosity. Born and raised in Los Angeles, James hd Brown (b. 1951) moved to Paris to continue his studies, and then, in the late 1970s, relocated to New York. But, it's obvious that his artistic voice and vision matured and fully developed after he and his family finally settled in Mexico in 1995. And, not in Mexico City, but in Oaxaca – a small city in one of the poorest states of Mexico. One wonders, how come this tiny city evolved into such a vibrant, globalized contemporary art scene? Selma Holo, Director of USC Fisher Museum of Art, and Curator of the exhibition, has a particular connection with Oaxaca. For years, she worked on her book, Oaxaca at the Crossroads, (Smithsonian 2004) and it was then that she met Brown. 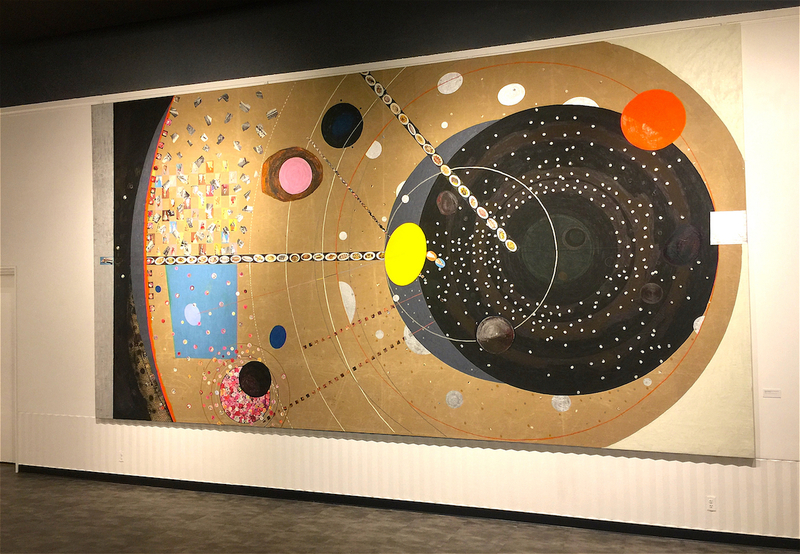 This ambitious exhibition, with its intentionally dramatic and theatrical presentation, surprised me with the diversity of the artworks – in size: from small to monumental, and stylistically: with echoes from Kandinsky and Klee to Al Bengston and Kienholz. A couple years ago, I found myself in Oaxaca as a participant in the Oaxaca Museum Conference, where I was asked to moderate a panel discussion with representatives of museums from Latin America and the United States. That's when I had a chance to explore the layers of history and culture wrapping the city in the most colorful and friendly artistic shawl. I marveled at the ancient ruins of Monte Albán, the amazing architectural treasure on a mountaintop above Oaxaca. 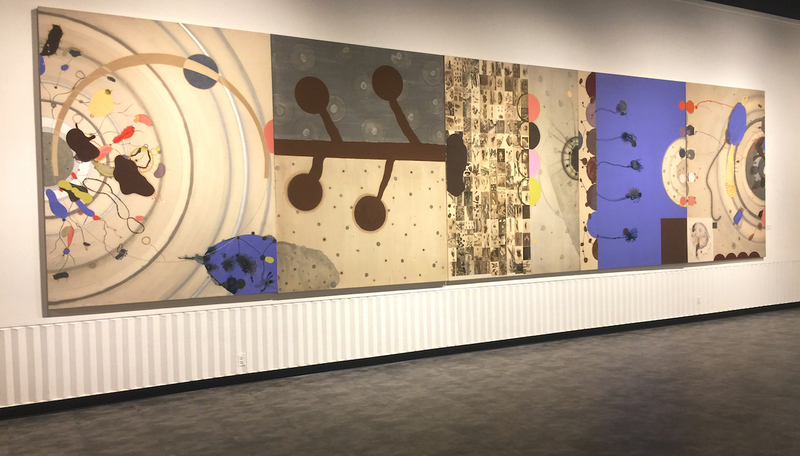 All that and more, one can see and feel in the multitude of Brown's abstract, colorful compositions. 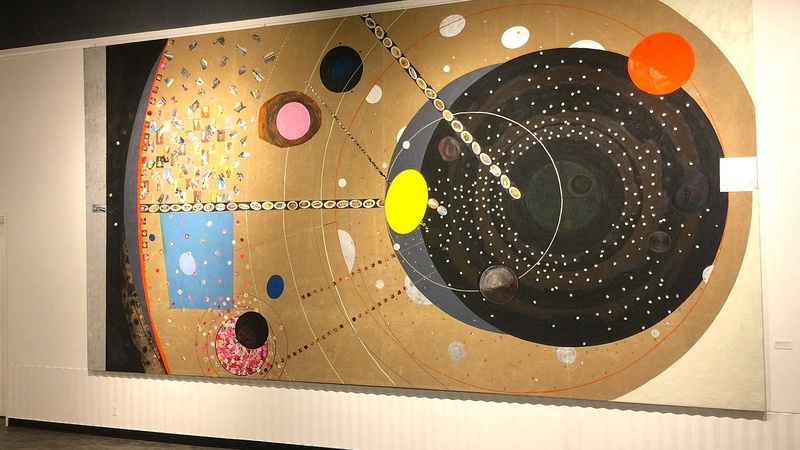 In addition to his hundreds of paintings and prints, there are a number of rugs and textiles designed by Brown and his brother, Matthew, and weaved by local Oaxacan artisans. 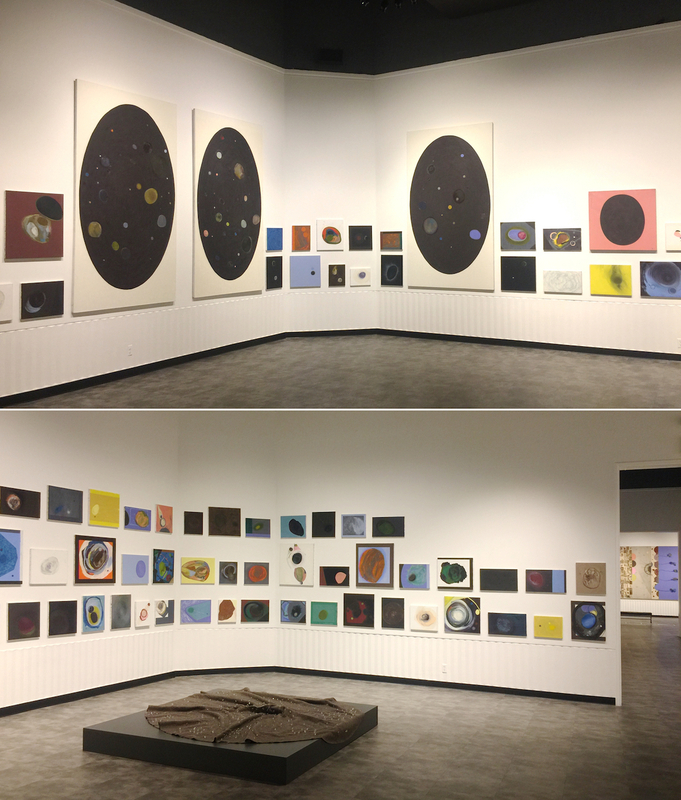 The last gallery, intentionally stuffed to the brim, gives the impression that you are in the artist's studio, or in a museum storage space. 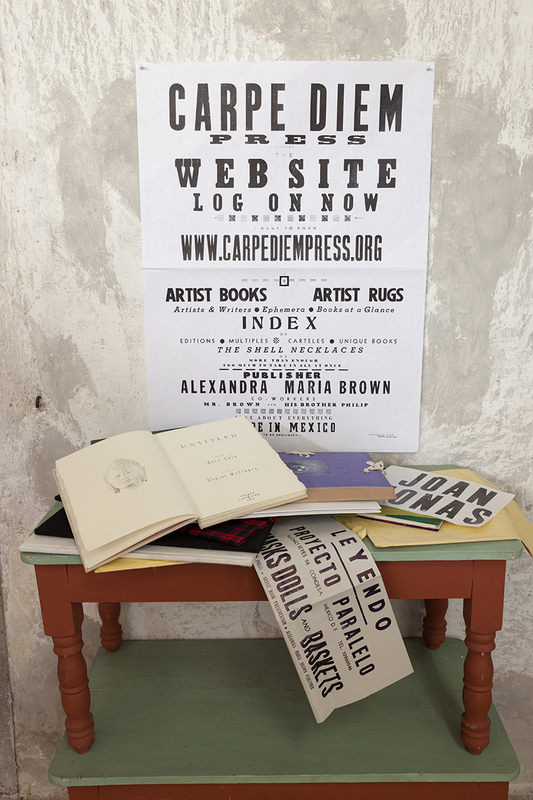 The installation is devoted to Carpe Diem Press, which was created by Brown and his wife, Alexandra Brown, in 2000. The Carpe Diem Press, Oaxaca, Mexico. If you like and are impressed by the exhibition as much as I am, you simply must get your hands on the exhibition catalog, fully designed and printed by Carpe Diem Press. This catalog is an artwork in its own right. Its weight, its texture, its delightfully old-fashioned binding gives you a personal, intimate connection with the artist, his spirit, and his mind. And, while raving about this James hd Brown catalog, I want – no, I must – persuade you to get your hands on the equally irresistible catalog of the Chagall exhibition currently at LACMA, Chagall and Music – another rare example of a beautifully designed book that gives you a privileged look inside the world and mind of Marc Chagall. All photos by Edward Goldman unless otherwise noted.